Learn how to score more points with your spike attack hits! 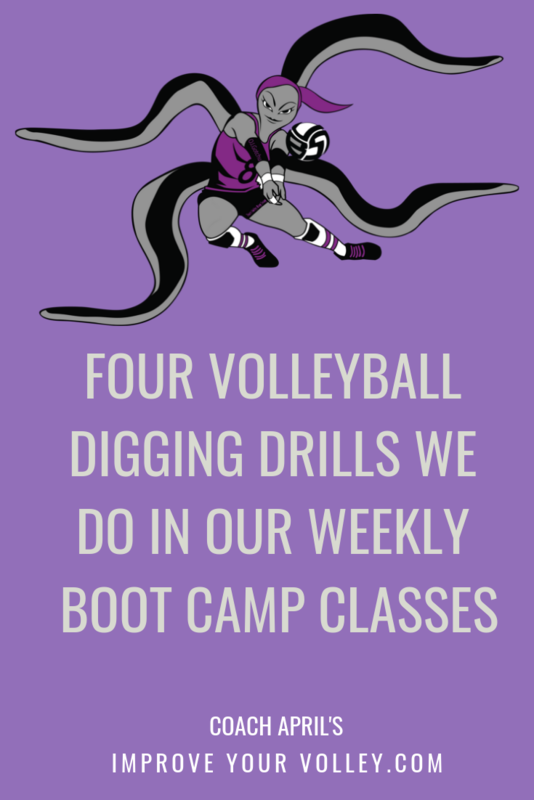 The volleyball hitting drills we do in Boot Camp class are designed to help you improve the various ways you need to be able to attack or spike a volleyball. 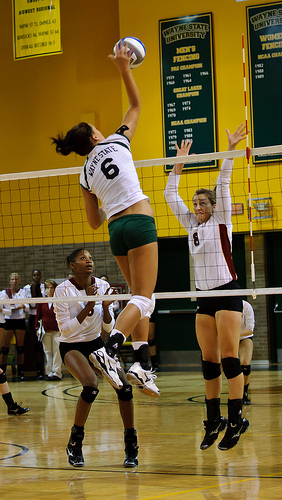 Hitting the ball hard over the net is the first thing players think of about, when thinking about playing volleyball. Its the most popular skill of the game which makes it so spectacular and fun to play and watch. 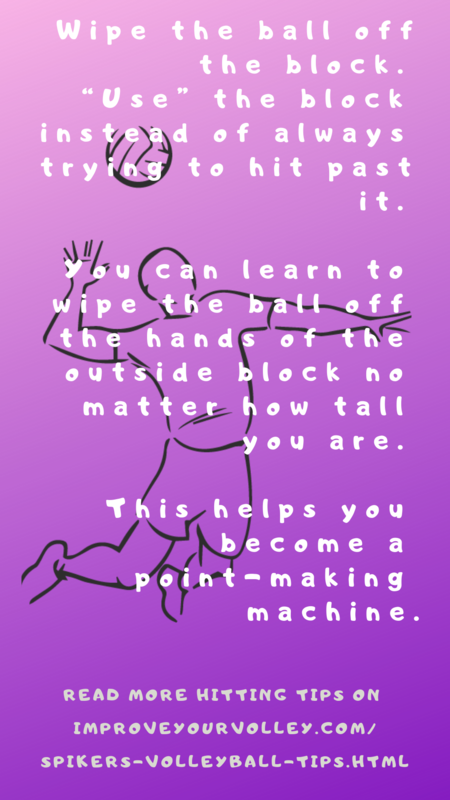 And let's face it, if you know how to spike a ball, it's just a great accomplishment and a really cool thing to be able to do well in order to score points for your team! b) past the opposing team's back row defensive players so the ball hits the floor. 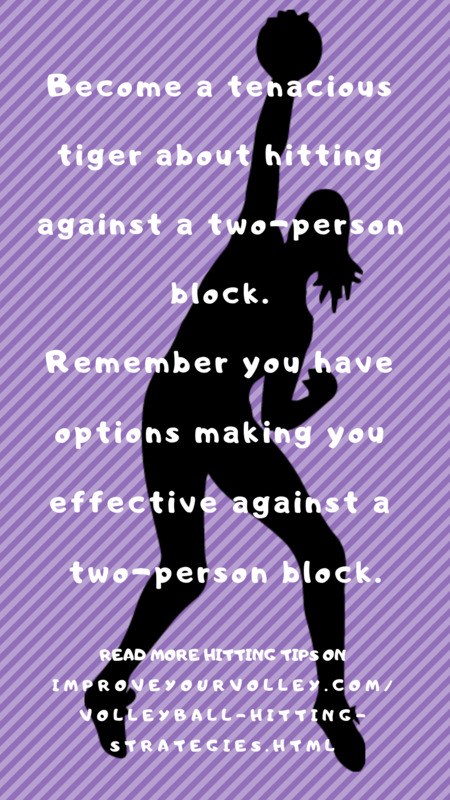 One of the first important reasons to do volleyball hitting drills is to develop enough power and a quick armswing to hit the ball past the block and past the diggers on the opposing team. 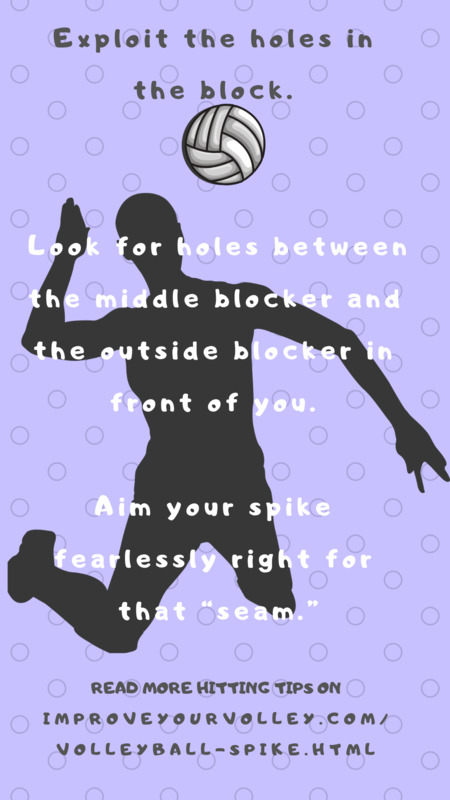 In order for your team to score a point with your spike attack, it requires you to become better in practice with your lower body footwork, combined with your upper body arm swing technique along with your spike approach timing to the ball which will vary depending on the set you plan on hitting. 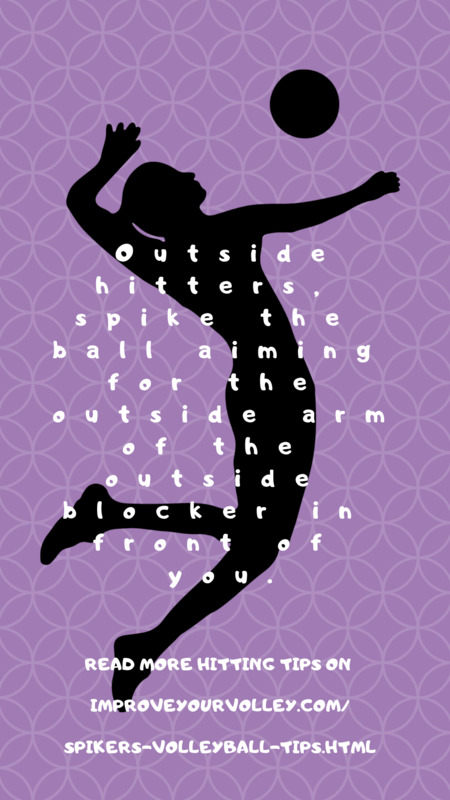 Outside hitters can be compared to running backs on a football team or forwards on a basketball team. Their job is to score points especially so for the left side hitters. Hitters are required to "put the ball" on the floor for their team and they have to learn how to do so in perfect and imperfect situations. If the outsides get a perfect set, which is also called an "in-system" set, then the expectation is for them to generate enough power with the momentum they generate from their spike approach and quick arm swing to put the ball on the opposing team's floor. And if they get an imperfect set, or an "out-of-system" ball the expectation is the same...to do something smart with the ball so it gets to the opponent's court floor for a point. 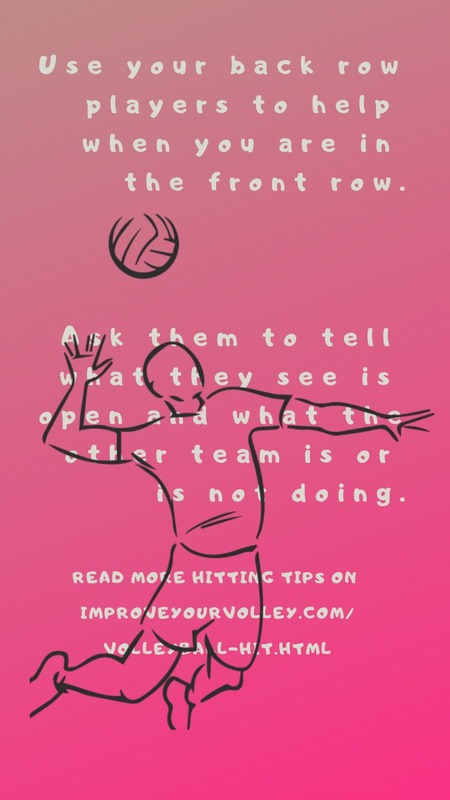 Another important reason to do certain volleyball hitting drills is to understand how and when to use smart tactics to hit the ball hard and when to hit the ball smart to a specific spot on the court. Smart hitting means to practice knowing when, where and how to hit to certain areas of the court, especially when you get an out of system set. The outside hitters are called upon to terminate the ball for a point. because their single most important job after they get the ball from their setter is to put the ball on the opposing team's court floor. 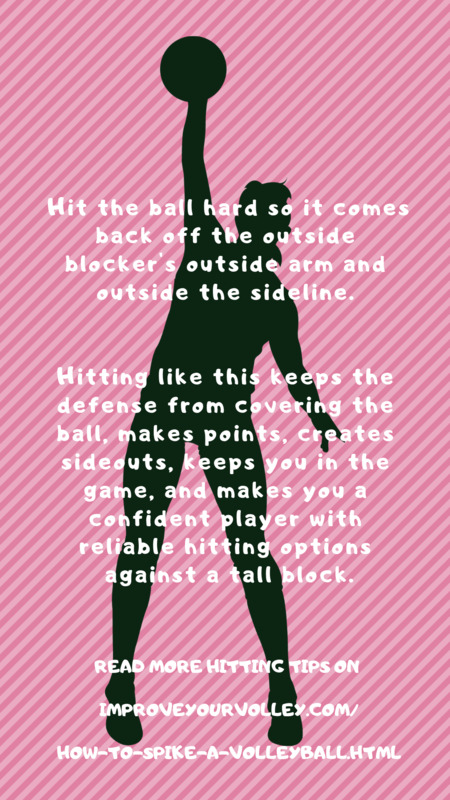 Here's one of the volleyball hitting drills we frequently do for outside hitters to learn how to hit hard past the block and past the diggers to score points. 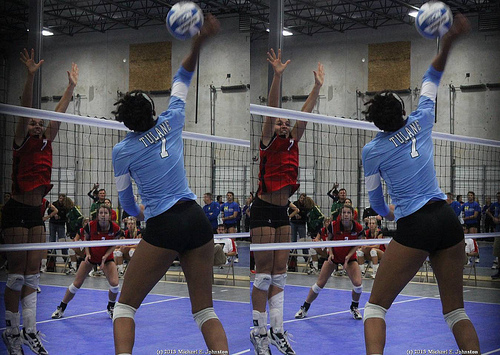 On one half court is me, the coach, who tosses to a setter who sets to the left side hitter. 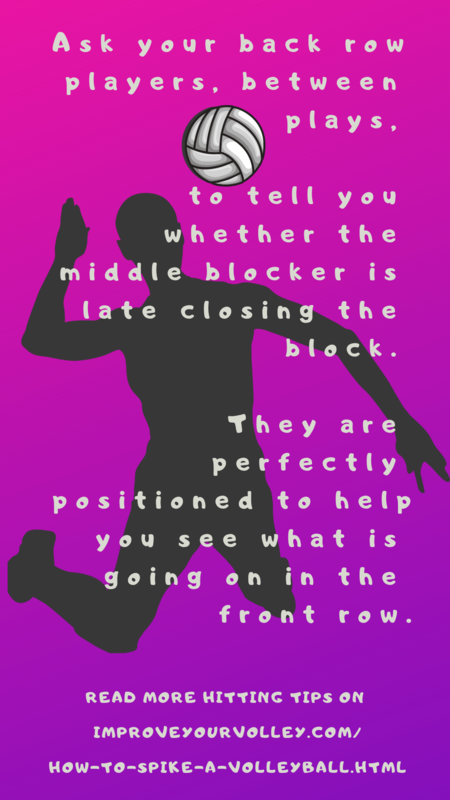 On the other side of the net is one blocker in Zone 2 who attempts to block the spiker and three diggers behind her in the backrow who try to dig the balls that get past the block. Me, the coach, will toss 15 balls to the setter who sets to the left side hitter. Out of 15 sets we set a goal for the hitter. Seven-time NCAA Division One champion coach Penn State's Russ Rose does a version of this drill in his practices. Check out how he explains his version in the video below. Much of the way I coach now is inspired by alot of what I learned from him as a player. It worked when I was a collegiate player and many of the techniques and tips worked when I was professional player. 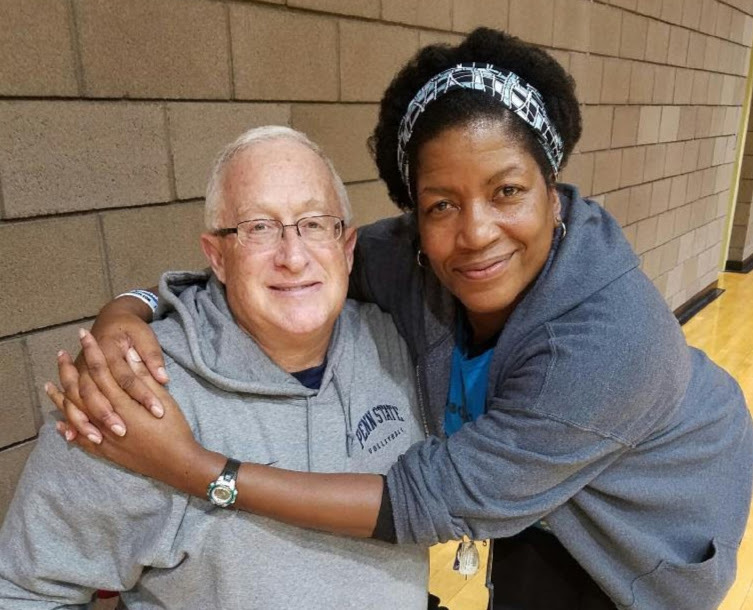 Listen in as Russ shares some of his coaching philosophy along with his volleyball hitting drills. As a professional left side hitter, I trained to hit both the perfect "in-system" sets and the imperfect "out-of-system" sets. My role as a left side hitter was that of a "vacuum cleaner"...I was responsible for picking up and putting away all types of balls and all types of sets.. that meant everything, the good stuff and the trash. Even if I got a ball set to the outside that was too low, or too fast, or too far off the net, it was still my responsibility to do something with it so that I could score a point for my team. I expect the hitters I train on high school and club teams to adopt the same mindset. 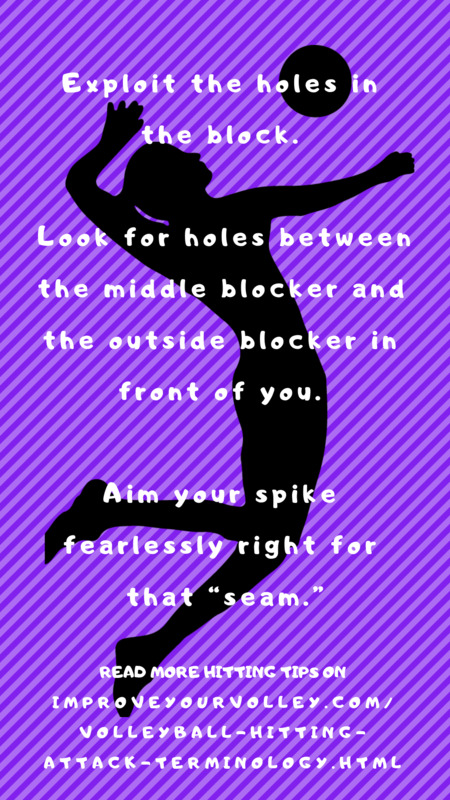 This spiking drill helps hitters practice spiking in perfect and imperfect situations. Here's the Portland State coach Michael Seeman demonstrating how he runs his version of the same 'One Hitter vs Six Players on Defense" hitting drill at the Art of Coaching Clinic in Portland this year. Different coaches tweak this same drill the way they need it so they can work on improving different aspects of hitting the ball against a six-person defense.